This Terms of Service (TOS) agreement is between you (Client) and CALL PROOF LLC alternatively hereinafter referred to as the “Company”, and its legal successors and assigns, with registered address at 1622 Church Street Nashville, TN 37203. By accepting this Terms of Service (TOS) electronically or in writing, and/or by using Call Proof’s services, you (Client) agree to be bound by the following terms and conditions. You also agree that your electronic acceptance of this TOS shall have the same force and effect as if you had agreed to this TOS in writing. Call Proof provides its services to Client subject to the following TOS, which may be updated from time to time without notice. You should periodically review the most current version of the same. Failure to comply with the TOS may result in account termination. If Client does not expressly reject the TOS and cancel Client’s account within 5 days from the date of initial sale, you agrees to, and hereby signs, the TOS and the Company is instructed to facilitate the acceptance of Call Proof’s services as if Client had expressly accepted the TOS. The Client’s acceptance of the TOS is binding upon all of the Company’s services including the subscription of additional services or additional accounts at a later date. Call Proof is engaged in providing CRM services to clients. As a unique characteristic, the Company makes reporting sales activity automatic. 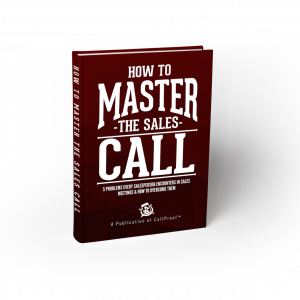 Furthermore, Call Proof gives sales staff a tool on their mobile device in order to boost sales. In the performance of these services, Client understands that the Company’s services may include certain communications from the Company such as advertisements, notices, service announcements and newsletters. Client is responsible for obtaining access to the Company’s services that may involve third party fees. As a necessary requisite for its operation, Call Proof records GPS locations and call history. As such, the Company encourages Clients to utilize user names, passwords, encryption, algorithm or any other form of restrictive measure in order to restrict access to unauthorized individuals. In the unfortunate event that any breach of these restrictive measures occurs, the Client hereby insulates the Company against any form of liability or obligation as a result thereof. Furthermore, the Client undertakes to indemnify and hold the company and its subsidiaries, affiliates, officers, directors, agents, and employees harmless from any suit or legal proceeding, including reasonable attorneys’ fees, made by any third party due to or arising out of any breach of these Terms of Service, or violation of any law or the rights of a third party. Provided further, that the Client assumes the responsibility of notifying employees that call history and GPS history, or any related violation thereof, is a legal ground for the termination of their employment. B) To the new email address account Client set up through the Company. Client agrees to check the designated email addresses regularly for Notices. Notice from the Company is effective when sent by it, regardless of whether the Notice is read or received by Client. Call Proof shall bill clients on a monthly basis according to the rate chosen on a per-user basis. Should the client avail of an Activity Coach, a monthly amount of $300 shall be billed per representative, or those who need coaching for 30 days. As Call Proof strives to offer the very best service, there are certain guidelines and policies that must govern its efforts and relationships with its clients. Practices that are in violation of the Company’s guidelines and policies are strictly forbidden and may result in the immediate termination of the Call Proof’s services. Such decisions are at the sole discretion of the latter. You, as Client, agree to conduct your business in a legal and professional manner. Client understands that all information, data, text, software, music, sound, photographs, video, messages and other material (Content) is the sole responsibility of the Client. The Company may also, at its sole discretion and at any time, discontinue providing services, or any part thereof, with or without notice. b) All laws and regulations regarding the collection and processing of personal data, including those relating to the trans-border transfer of personal data. Call Proof’s technical support department should be contacted for any concerns with you may have with the Company’s services. Tech support is available for a fee per occurrence and at an hourly rate for all other technical support issues. Client agrees to pay for technical support services requested by Client at the Company’s hourly rate and that the latter may charge Client’s account for such technical support fees. Call Proof makes no representations as to the marketing of Client’s products, services or sales. Client’s obligation to pay fees due to the Company are due at time of rendition of services, in accordance with Clause 4 of this Agreement, and are not contingent upon Client’s marketing of said website. Client is responsible for all marketing of Client’s website. Call Proof, at its sole discretion, may terminate its service and remove and discard any content, for any reason, including and without limitation, for lack of use, or if it believes the Client has violated the TOS. The Client acknowledges and agrees that the Call Proof’s services may contain proprietary and confidential information that is protected by intellectual- and proprietary-rights laws. Client agrees to not reproduce, duplicate, copy, sell, resell or exploit any portion of Call Proof’s services. The Client hereby agrees that any information or ideas submitted to Call Proof by any means may be used by the latter without compensation or liability to Client for any purpose whatsoever. CLIENT’S USE OF THE COMPANY’S SERVICES IS AT CLIENT’S OWN RISK. THE COMPANY’S SERVICES ARE PROVIDED “AS IS”. THUS, THE COMPANY DISCLAIMS TO THE FULLEST EXTENT PERMITTED BY LAW ALL WARRANTIES OF ANY KIND, WHETHER EXPRESS OR IMPLIED, INCLUDING, BUT NOT LIMITED TO, THE IMPLIED WARRANTIES OF MERCHANTABILITY, FITNESS FOR A PARTICULAR PURPOSE AND NON-INFRINGEMENT OF PROPRIETARY RIGHTS. Client waives all tort claims, strict liability claims and any and all other legal and equitable claims to the extent permitted by law against Call Proof, its subsidiaries, affiliates, officers, employees and agents. The relationship between the parties is contractual in nature only. Client waives any tort claims that arise by act, or omission. Client further agrees that it may only bring claims against the Company in Client’s individual capacity and not as a member of a class. This agreement shall be governed exclusively by the laws of the State of Tennessee, USA, without regard to any conflicts of law provisions thereof, as a contract entered into and performed entirely within the State of Tennessee. The parties hereby expressly disclaim the application of the United Nations Convention on the International Sale of Goods. Any disputes between the parties relating to the subject of this agreement shall be submitted exclusively to the jurisdiction of the state or federal courts located in the State of Tennessee, Counties of Nashville, and the parties expressly consent to personal jurisdiction and venue therein and waive any objection based on forum non conveniens or otherwise. Should there be a breach of this provision, the non-breaching party shall be entitled to an award of attorney fees. Selecting and submitting “accept” on the electronic copy of the TOS, submitting content through the online web center, making payment, or submitting information or documents to Call Proof so that the latter may perform services for the Client, the same shall constitute an electronic signature. Finally, the Client agrees that regardless of any statute or law to the contrary, any claim or cause of action arising out of or related to the use of the Company’s services or the Terms of Service must be filed within one (1) year after such claim or cause of action arose or be forever barred. The section titles in the TOS are for convenience only and have no legal or contractual effect.